The Mayor of Brighton and Hove, Councillor Denise Cobb and volunteers at the Sport Relief phone in. 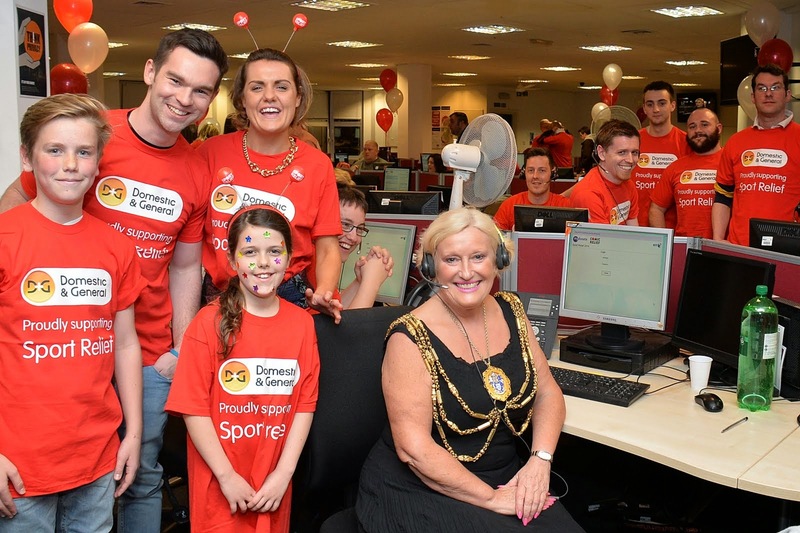 The Mayor of Brighton and Hove, Councillor Denise Cobb, joined volunteers at the Domestic and General offices in Brighton to participate in a Sport Relief phone-in. The Mayor took the first phone call which came from Hove, with a pledge for sponsorship for the Sainsbury’s Sport Relief Mile which is run along the seafront on Sunday March 23rd starting at 10am.